Our extensive hands-on experience in all types of industry means we can often offer a simple, practical solution to your electrical control problems. We are able to use either the latest technology or traditional methods - to suit your preference. 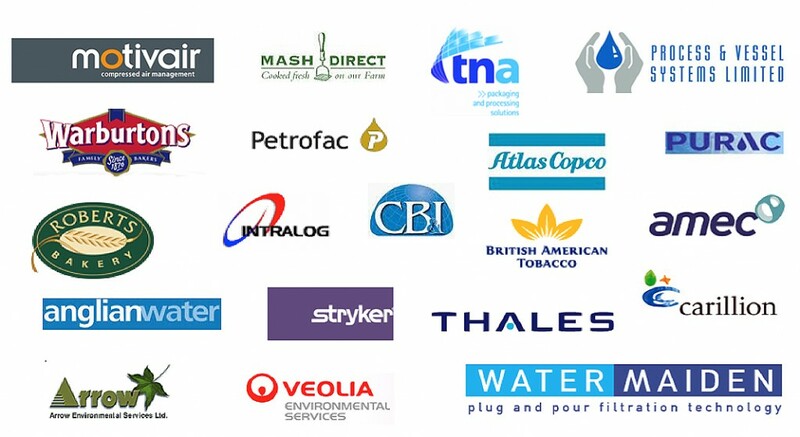 Amec, Arrow Environmental, Asda, Associated Newspapers, Atlas Copco, British Aerospace, British American Tobacco, The British Library, British Petroleum, British Rail, CB&I, Crescent Petroleum, Hamley’s, The House of Commons, HM Prison Service, IAC, ICS, Kvaerner, Mash Direct, Motivair Compressors, Onyx, Parceline, Paterson Candy, Petrofac International, Purac, Rotometrics, Stryker Howmedica, Thales, TTI, Watermaiden.